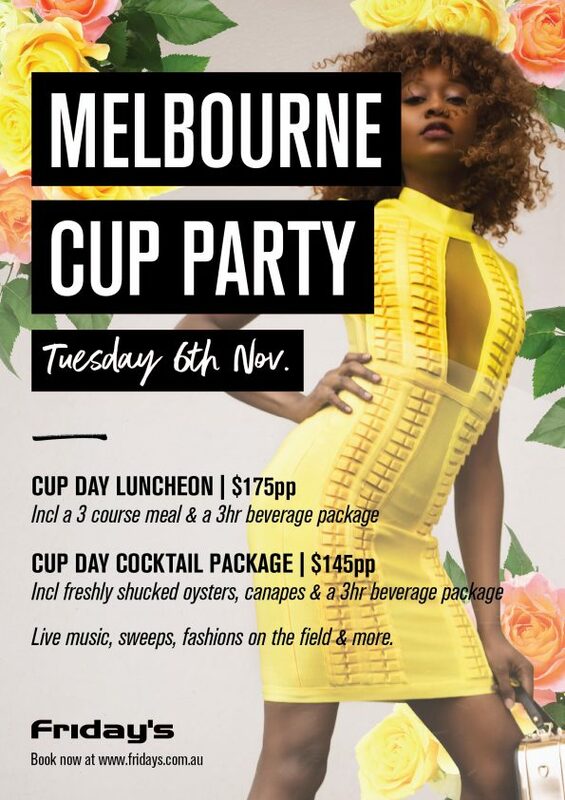 Join us riverside this Melbourne Cup Day for the ultimate spring racing party. We’ll have all the racing action live throughout the venue all day long, plus sweeps for the big race & live tunes so you can party on late into the night. Fascinators at the ready! Dress to impress for our annual fashions on the field comp. Doors open 11am for a 12pm start. Beverage packages commence at 12pm through to 3pm. Get your colleagues together & book your spot now. Bookings go fast so get in quick to secure your spot.